Dromtönpa Gyalwé Jungné (Tib. འབྲོམ་སྟོན་པ་རྒྱལ་བའི་འབྱུང་གནས་, Wyl. 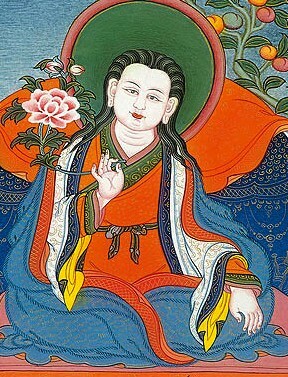 'brom ston pa rgyal ba'i 'byung gnas) (1004/5-1064) — the main Tibetan disciple and lineage-holder of Atisha. He founded Radreng Monastery and had countless students, the chief of whom were Putowa Rinchen Sal, Chengawa Tsultrim Bar and Phuchungwa Shyönnu Gyaltsen. According to Dezhung Rinpoche, he was also known as Geshe Tönpa and Radrengpa. This page was last edited on 18 January 2018, at 07:18.